On the eve of President Obama’s State of the Union Address, a new poll from Washington Post-ABC News shows that fully 63 percent of Americans have either little or no confidence Obama will make the right decisions. The public is evenly split on whether Obama is honest and trustworthy, with 49 percent of Americans answering in the affirmative, and 48 percent answering negatively. 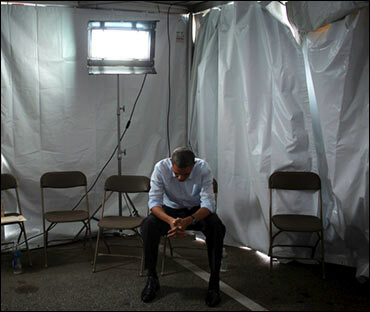 A bare majority of Americans, 52 percent, feel Obama does not understand the problems of people like them – a shocking downward turn for Obama on an important likeability issue on which he dominated in 2012. A majority of Americans. 51 percent, also believe Obama is not a strong leader. His disapproval rating stands currently at 50 percent, with 41 percent disapproving strongly – only 23 percent support him strongly. 50 percent of Americans have an unfavorable impression of the president.